kafka – Blog on Big Data! IBM BlueMix offers Apache Kafka as part of the IBM Message Hub Service. Bluemix is an open-standards, cloud-based platform for building, running, and managing applications Build your apps, your way Use the most prominent compute technologies to power your app: Cloud Foundry, Docker, OpenStack. Extend apps with services A catalog of IBM, third party, and open source services allow the developer to stitch an application together quickly. Scale more than just instances Development, monitoring, deployment, and logging tools allow the developer to run and manage the entire application. Layered security IBM secures the platform and infrastructure and provides you with the tools to secure your apps. Deploy and manage hybrid apps seamlessly Get a seamless dev and management experience across a number of hybrid implementations options. Flexible pricing Try compute options and services for free and, when you’re ready, pay only for what you use. Some critical bugs were fixed as part of Apache Kafka 0.9.0 release. There are some good reasons to upgrade to v0.9.0.0 of Apache Kafka. There are many subtle differences between Apache Kafka and JMS. Kafka ensures that the messages are received in the order in which they were sent at the partition level. JMS does not have any such contracts. Kafka does not have any concept of filters at the brokers that can ensure – messages that are being picked up by a consumer matches some criteria. The filtering has to happen at the consumers (or applications). In the case of JMS – if your messaging application needs to filter the messages it receives, you can use a JMS API message selector, which allows a message consumer to specify the messages it is interested in. Message selectors assign the work of filtering messages to the JMS provider rather than to the application. Kafka brokers store the messages for a specified period of time irrespective of whether the message has been picked up by the consumers or not. JMS providers typically provide either in memory or disk based storage of messages. In JMS, the provider can push the JMS message to topics and queues. In Kafka, consumers pull the message from the broker. Apache Kafka wins the InfoWorld’s 2016 Technology of the Year Award. Is Apache Kafka Enterprise Ready? Apache Kafka is in existence for about 5 years now. It started its life at LinkedIn. 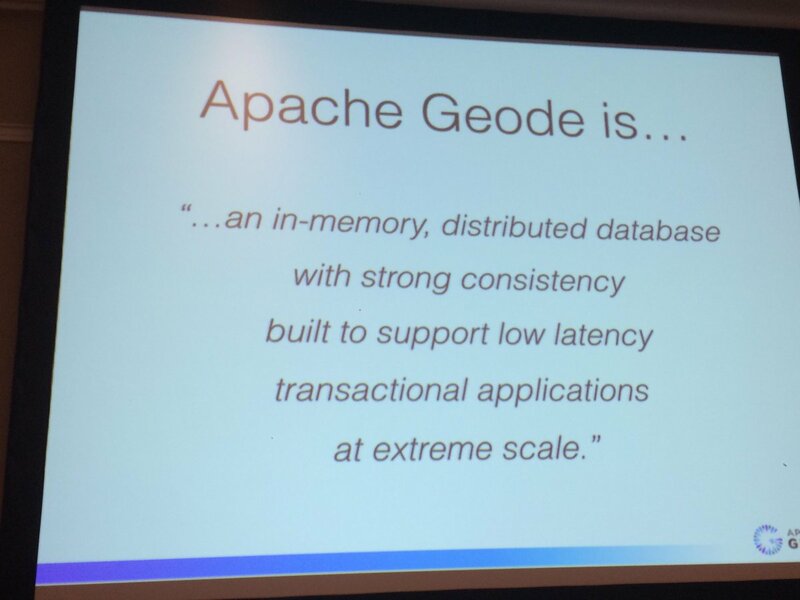 Then it moved into the Apache Software Foundation. There are many companies such as Hadoop Platform vendors such as HortonWorks,Cloudera, MapR as well as the pure Kafka vendor, Confluent Inc -that provide commercial support for Kafka. IBM has built a MessageHub based on Apache Kafka- ready for the IBM BlueMix platform. ORACLE Stream Explorer has tight integration with Apache Kafka. 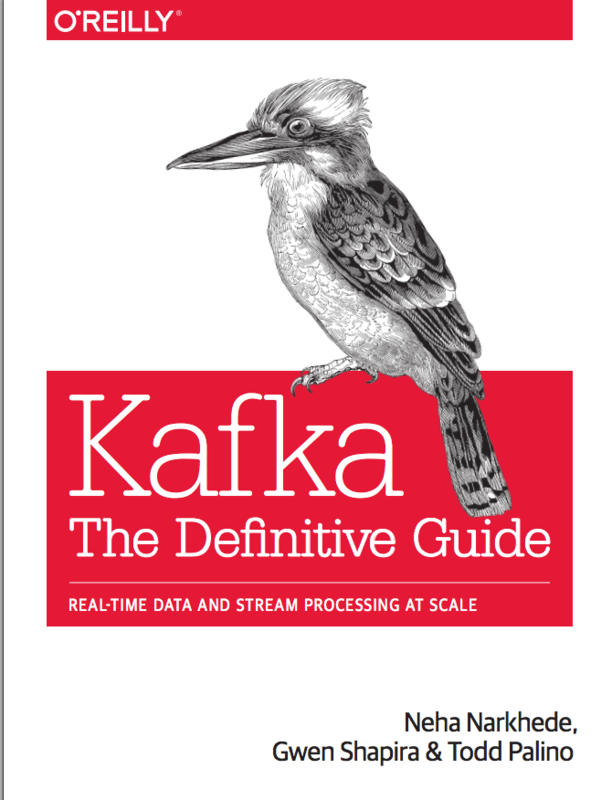 O’Reilly book on Apache Kafka is forthcoming. 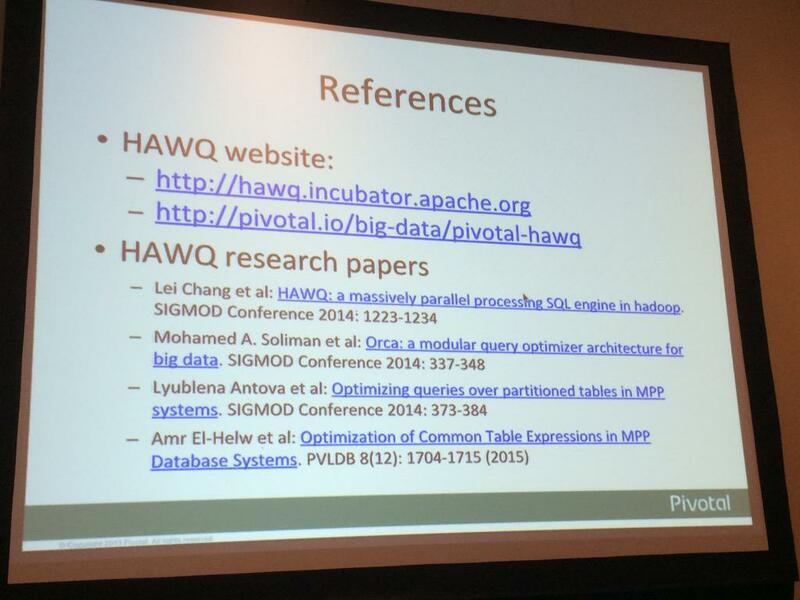 Important highlights of day 2 of the Apache Big Data Europe 2015 in Budapest. 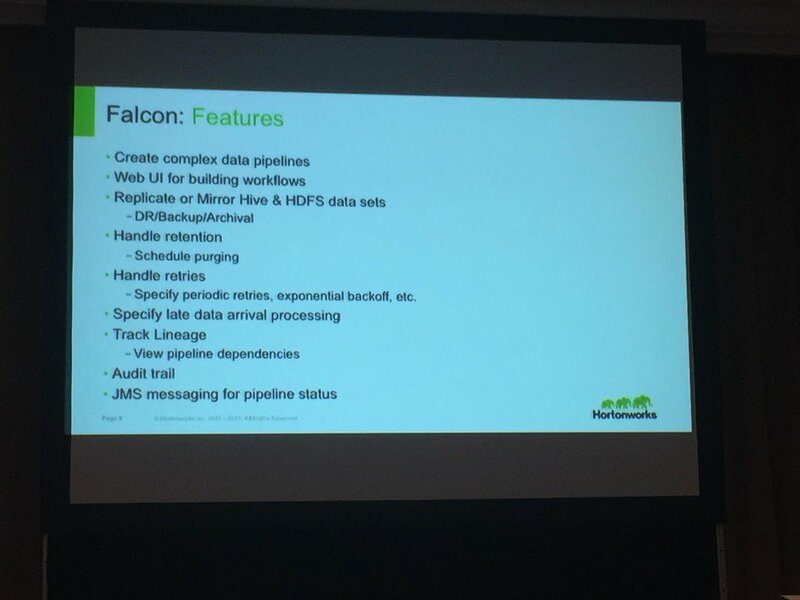 ​Hortonworks co-founder and architect Arun Murthy talked about the next decade for Hadoop and how it needs to become more business process oriented. Welcome to a whole new world of data exploration—a world where SQL specialists are now first class citizens and no longer have to wait for weeks/months before they can access new datasets; a world where IT does not have to be a bottleneck in preparing and maintaining schemas for the BI user; a world where data scientists are free to follow the information trail wherever it may lead them. Who is using Apache Kafka?